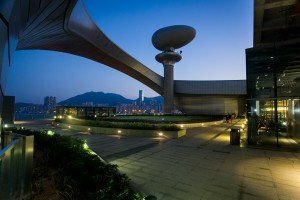 Both functional and beautiful, the iconic Kai Tak terminal was designed by Foster + Partners, which also built London’s City Hall, Wembley Stadium and Millennium Bridge, amongst many other high profile international buildings. 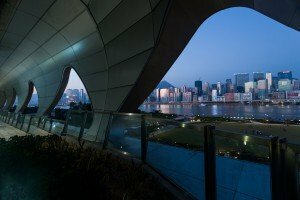 The terminal, with an unobstructed panoramic view of the spectacular Hong Kong skyline and an impressive slew of amenities, meets the demands of a new generation of super cruise liners and has the astonishing capacity to disembark a total of 8,400 passengers and 1,200 crew members. 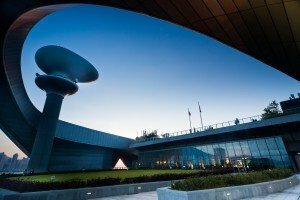 Its open design and spacious interior, which spans 70 metres, is highly flexible and offers an excellent venue for performances, events and exhibitions. Built on the fabled runway of the former airport, the terminal carries on the legacy of the “Kai Tak” name – an iconic symbol and a part of Hong Kong’s heritage since 1925. Fittingly, for global visitors travelling both by air and sea, Kai Tak is instantly one of the most recognizable structures from the harbour and above.